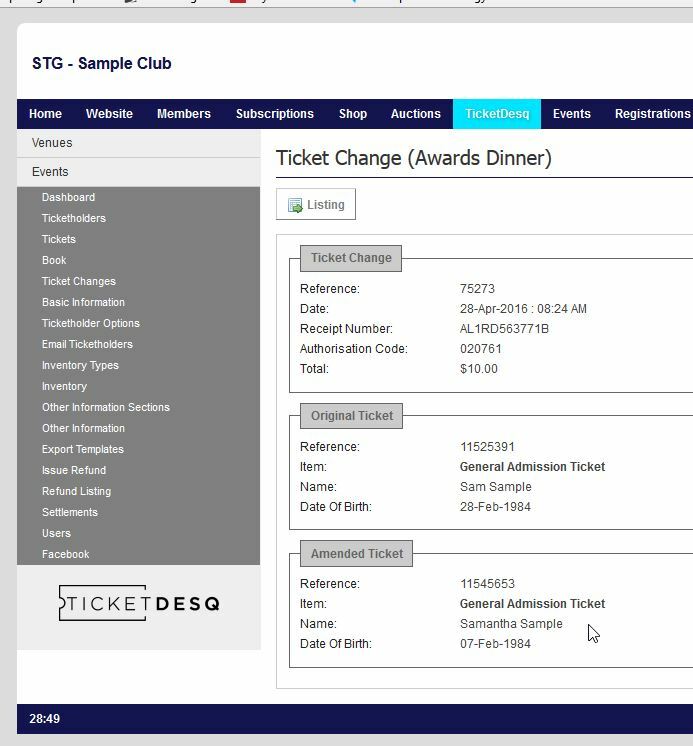 The Ticket Change menu will display a list of Ticket Holders who have processed a Ticket Change. A ticket change is a name or date of birth change on the original purchase. From this listing administrators are able to view, search and export. 3. To view the relevant Ticket Holder information, click the View icon. This will display the previous ticket information, as well as the amendments. Note: For Ticket Change to appear in the menu for your event, this must be enabled in the Basic Information > Change.